Sometimes you may suddenly lost sound on Facebook video playback, frustrating. 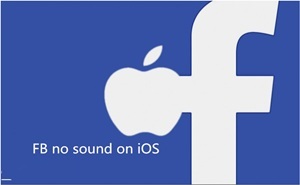 Users may experience Facebook video sound not working problem during playback or after uploading on computer, iPhone, iPad, Android etc due to different reasons. Here we will analyze and solve the Facebook video sound problem on a case-by-case basis. 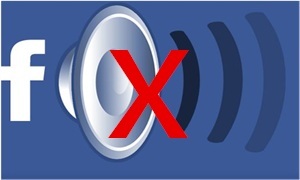 If your Facebook videos have no sound, you will find a fix here. MacX Video Converter Pro provides ultimate solution for Facebook videos audio not working problem by free downloading videos, clips, music from Facebook and 300+ other sites like YouTube, Vimeo, Vevo, Myspace etc. in super fast speed with minimal quality loss. Free download Facebook videos to get rid of any "Facebook video has no sound" errors. Play Facebook videos flawlessly on iPhone XS/XR/X/8/7/SE/6S, iPad Air 2, Samsung Galaxy S9 and more. 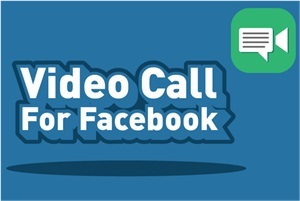 Convert videos to Facebook supported video formats, MP4, AVI, WMV, MOV, MP3, AC3, etc for smooth Facebook videos upload. Automatically filter Ads and enable to watch Facebook videos offline without loading/buffering. 1. First of all, check if the silent/ loud toggle button on the side of the device is switched to the loud mode. 2. If you have Facebook video sound problem after iOS upgrading, get into the device root directory and go to /System/Library/LaunchDeamons and locate the file com.apple.iapd.plist. 3. If vibrate, just flip vib off then fast forward or rewind Facebook video to get sound. 4. 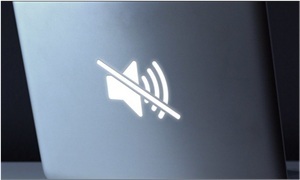 Turn off the hidden Mute button on iPhone iPad: swip up on bottom of iPad > check if the mute button is white > click on the Mute button to grey. 5. Check if it is the bluetooth taking over the sound. 6. 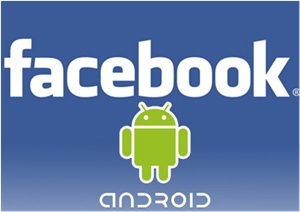 Delete and reinstall the Facebook app. 7. If all these failed, try to fall back on the best Facebook video converter to download and convert FB videos with sound. 1. Check the browser's volume level: click the speaker icon in the notification area. 2. Disable browser extensions, especially those relating to audio/video. And clear cache, cookies and history. 3. Ensure the browser is in its latest version. 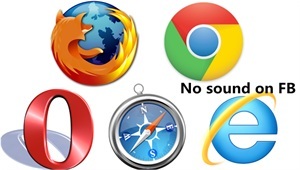 Remove and reinstall the browser or switch to a different browser. * IE: Close all Internet Explorer windows > Open desktop Internet Explorer. Go to Tools, Internet Option > Select the Advanced tab > Scroll down to "multi-media" sub-heading > Make sure the box next to "play sounds in web pages" is checked > Click ok > Restart Internet Explorer. * Chrome: Menu > Settings > Show advanced settings > System> UNCHECK "Use hardware acceleration when available > Restart Chrome. * Firefox: Tools/Options/Content > Click on exceptions and add www.facebook.com > Click allow and then close. 5. If there is still Facebook video sound problem in any browser, consider free download Facebook videos. 1. Sound settings. Always check if you have turned off the sound on your computer. This is easy to miss but works for some users. 2. Ensure that you have installed the most recent drivers for your sound card and motherboard. 3. Check if it is the Adobe Flash Player that should be responsible for the Facebook videos no sound error. Make sure that you're running the latest version. 4. After you update to the latest Flash player, check if the Flash player turn down the volume slider. * Type the Audio Control Panel into Cortana and selected Creative Audio Control Panel. * Select speaker configuration under speakers and changed the setting to 2/2.1 speakers. 6. The Facebook videos may be uploaded with sound errors. ▶ Free download Facebook videos (300+ sites) in HD/SD/4K/3D with fastest speed. ▶ Convert Facebook videos to iPhone XS/XR/X/8/7/6S/6, iPad Pro/Air 2/mini 4, Samsung Galaxy, etc, world's fastest speed. ▶ Convert HD/UHD videos to Facebook support formats in MP4, MKV, MOV, FLV etc. 1. First of all, check if the silent/vibrate switch is turned on. 2. Hold on the power button to restart the Android/Samsung device. 3. Insert your headphones into the headphone jack then take them out may solve Facebook videos no sound. 4. Make sure the Android device has the latest software update, to check go into settings > about device > software update > check for updates. 1. Unplug your headphones and put it back. 2. Update to the latest sound drive. 3. Check if your headset or speaker devices are muted. 4. Close any speaker-relating apps. 5. Check the sample rate of your sound card. 6. Try re-installing the driver of your sound card.